In the spring when trees unfreeze and grass grows green and pansies say, "Please plant me!" Nell and her dog, Rusty, can't wait to dig in dirt just right for digging. But Norman, their neighbor, says "Ewww!" to digging and dirt. 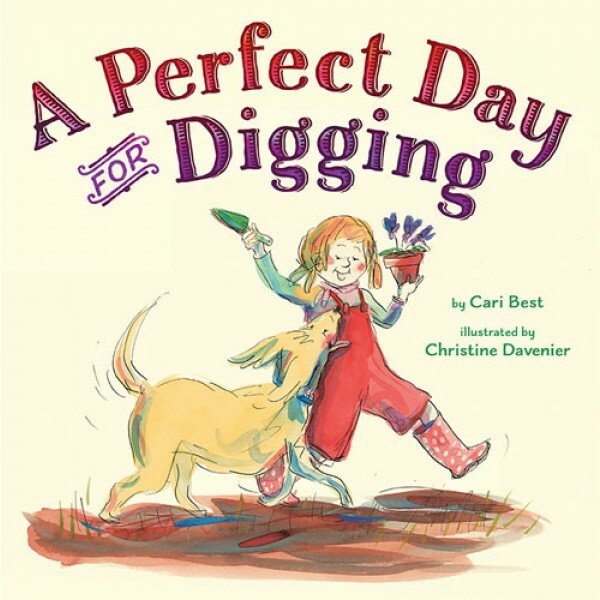 Until Nell and Rusty begin to dig up unexpected treasures: a pretty striped marble, the mini stegosaurus that Nell lost last summer, and most intriguing of all -- part of a tiny china doll. Who played with it? Is there more? Norman wonders. Now, even Norman can't resist. He rolls up his sleeves, picks up the extra trowel, and starts to dig in his own careful way -- in the process discovering all the simple joys of digging, dirt, and the fun of trying something new. Words and pictures brimming with humor and exuberance capture one of the true rites of spring: Hooray for dirty digging!